We have had a setback on the sale of the house. 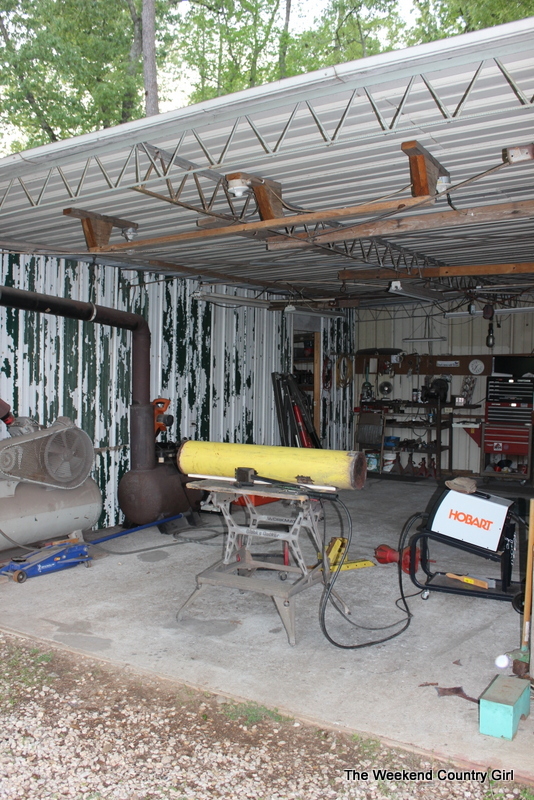 I am still expecting that Star Hill will sell in time for us to buy our dream property so I thought I would show you guys the space we will be using as our paint booth, workshop, and carpentry shop. 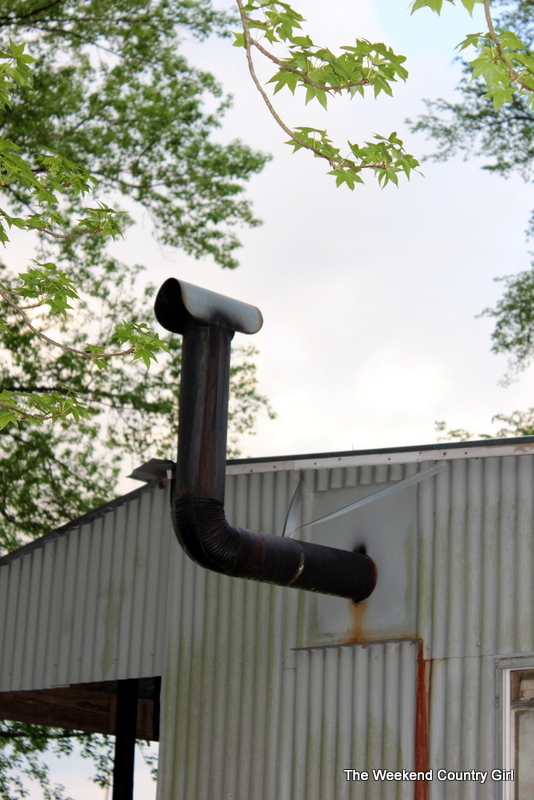 There is a three stall corrugated tin building on the property that will be perfect for our workspace. See the long building next to what will be the Guest Shed? It doesn’t look like much from the outside but looks can be deceiving. We plan on turning the end bay into a paint booth. That means I will be able to paint and poly furniture inside out of the weather, away from bugs, dust and wind. It will increase the number of days I can work on furniture. After this very wet winter, that is exciting to me. I did not get any pictures of the paint booth. It is large and empty right now. 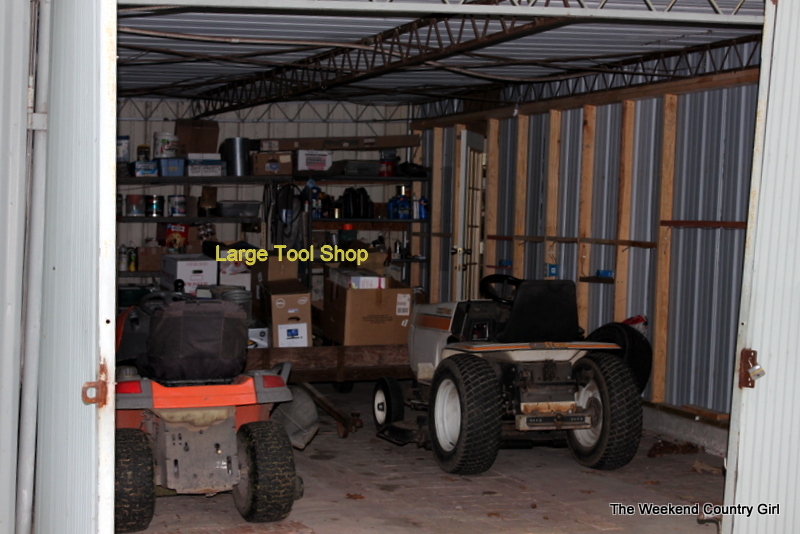 The center bay will be our carpentry shop or large tool shop. 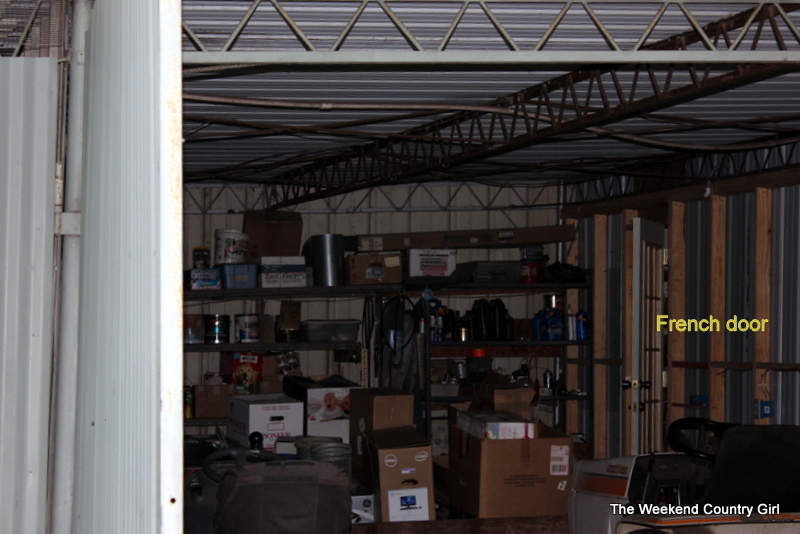 The table saw, air compressor, compound miter saw, drill press, table sander, and scroll saw will be in this space. This will be where the building and repairing takes place. At Star Hill we only have one space and we are constantly having to wait for the cutting to be done before I can get out tools for assembly, sanding, or staining. There is a glass French door in in the space with a separate storage space. I am sure that the glass door will need to go but I like having a space that can be closed off. 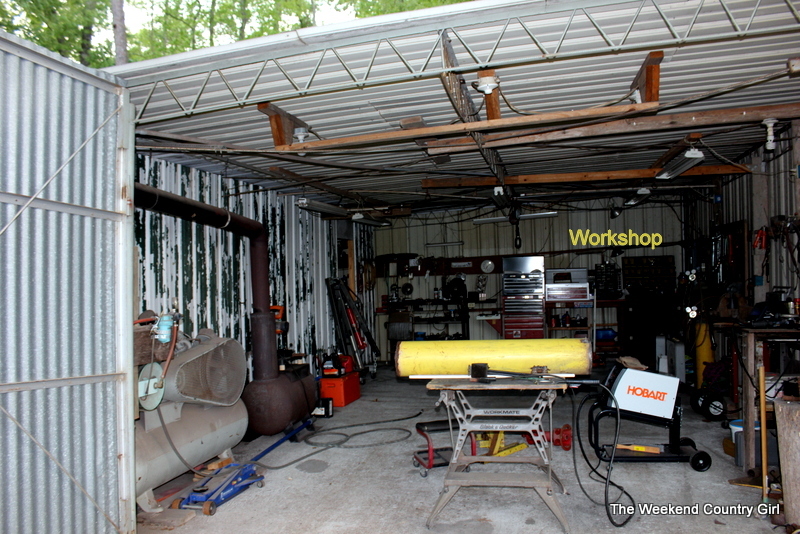 The end space that is now a welding shop will be the workshop space. There is even a wood burning stove for my cold, wet, winters. We are so hoping that it works out. It would be a dream come true for us to have this amazing space to put our own stamp on. Think happy thoughts for us. Fingers crossed.